Joining Bart this month are Gazmaz from the MyMac Podcast and Simon Parnell from the Essential Apple Podcast. The show starts with a quick follow-up on ‘Throttle Gate’ before moving on to the three main stories of the month, the arrival of HomePods in people’s homes, Apple’s moves to source their Cobalt directly from mines, and the on-going war on privacy. 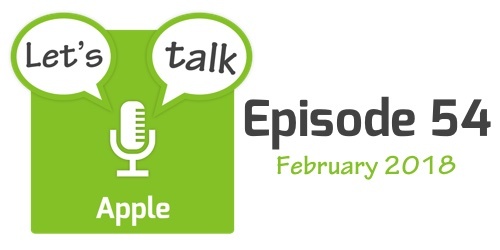 The show finishes with a quick rundown of some shorter Apple-related stories that made the news in February.